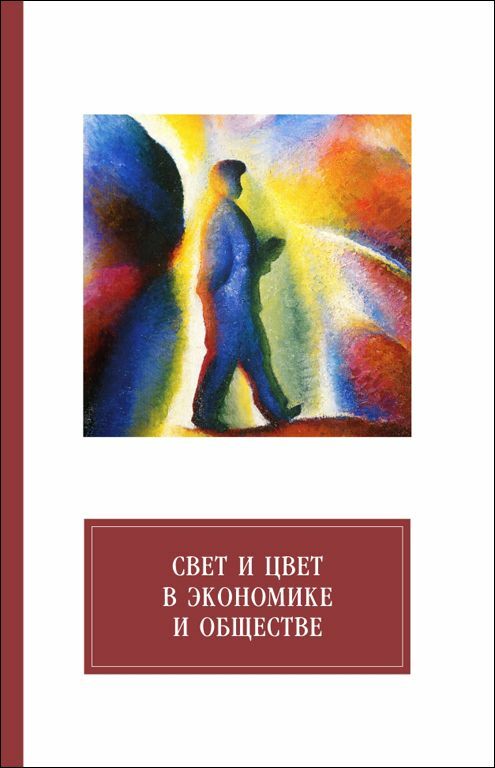 Олег Васильевич Инша́ков (родился 30 июня 1952 года в г. Козлов Тернопольской области УССР) — российский экономист, ученик Тарасова А. Ф., исследователь истории Российского экономического институционализма, автор эволюционно-генетической теории факторов проиводства, разработчик теории глобальной экономической системы, расширения объекта и предмета экономической науки на основе эволюции ее уровневой структуры. Ректор Волгоградского государственного университета. На сайте опубликована серия публикаций по проблемам формирования наноиндустрии в России и мире в рамках VI уклада ТОП, который начал бурно развиваться в начале XXI века. O.V. Inshakov. Stock exchange: the economic institution evolution / O.V. Inshakov, A.M. Beloborod’ko, D.P. 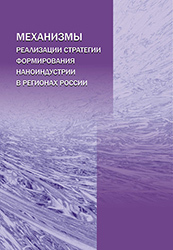 Frolov - Volgograd: Volgograd Scientific Publishing House, 2008. – 383 p.
O.V. Inshakov. Stock exchange: the economic institution evolution. Second, augmented and revised edition / O.V. Inshakov, A.M. Beloborod’ko, D.P. Frolov - Moscow, 2008. 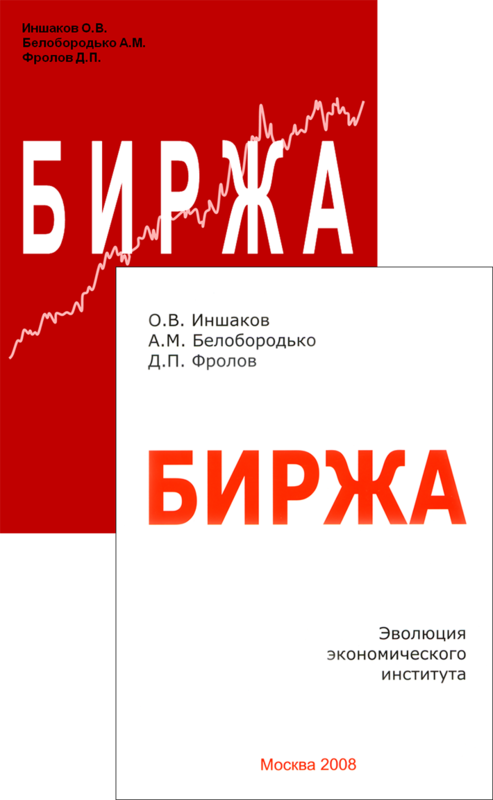 – 356 p.
In this study the stock exchange is considered as an institution and an economic organism, the dynamics of status positions, fractions and lobby as well as the language and communication of its actors is revealed. The rational and emotional character of the stock exchange agents’ behaviour and solutions, the shady relations and social transformations, internal and external effects of the stock exchange activity are analyzed. 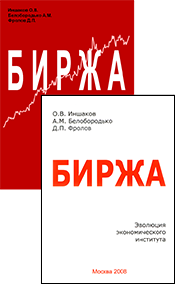 The periodization of the stock exchange evolution is presented, the factors, forms and trends of its further development are proposed. The authors put forward a number of original theoretical hypothesis and solutions, relying on various sources: from official government documents to stock traders’ personal correspondence. 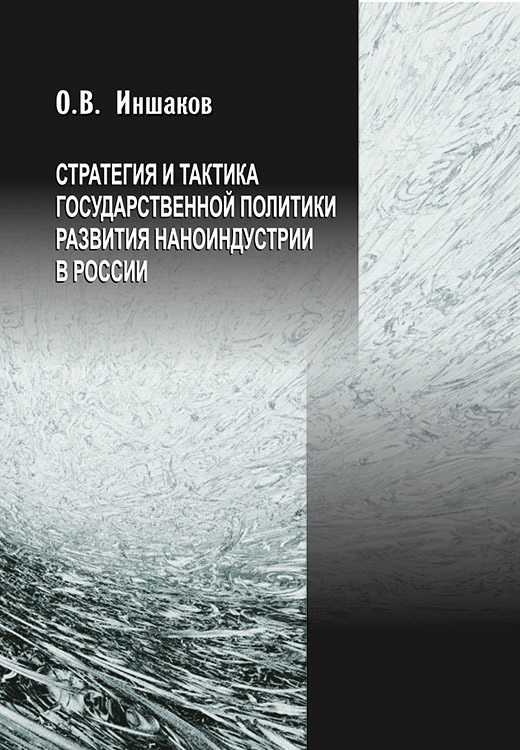 The book combines the fundamental theoretical analysis and publicistic witticism of describing the analyzed subject. For scientists and practical workers, lecturers and students, all the readers, striving for understanding the essence of the stock exchange phenomenon. 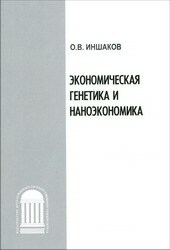 Light and colour in economics and society/ edited by Doctor of Economics O.V. Inshakov. 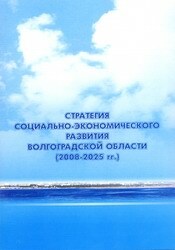 - Volgograd: Volgograd science publisher, 2008. 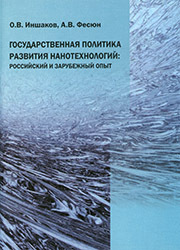 - 736 p.
Modernization of the Russian South economy: problems, priorities, projects / edited by O.V. Inshakov. – M.: Science, 2008. 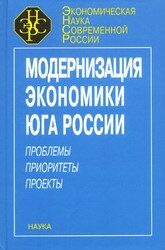 – 303 p.
The monograph dwells on the modernization and economic growth provision problems of the Russian South on the priority development basis of international transport corridors and attending infrastructure, the ethnoeconomic potential applying, promoting foreign economic relations and improving the economic regulation in the regions of the North Caucausus and Low Volga region. The project of creating the International business centre on the territory of Volga intermodal terminal is proposed. 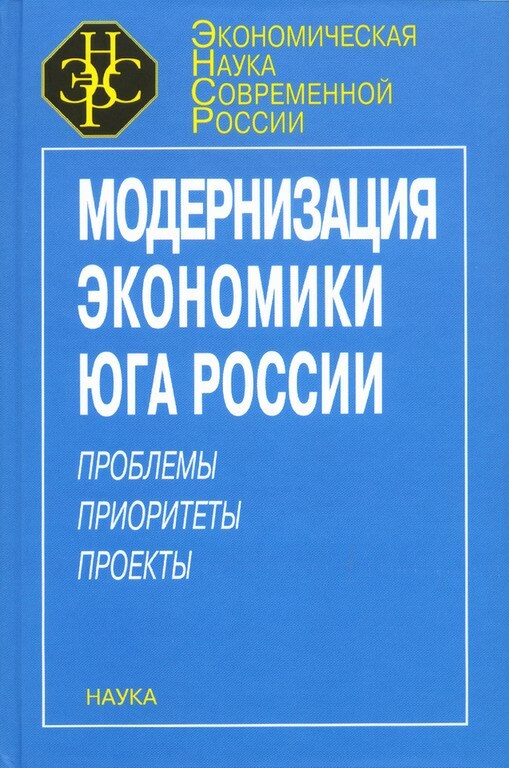 For everybody who is interested in regional development problems, politicians and entrepreneurs of the Russian South. The social and economic development strategy of the Volgograd region (2008 - 2025) / edited by O.V. Inshakov. 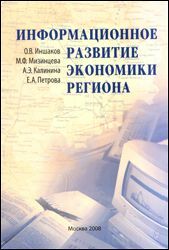 – Volgograd: VolSu Publishing, 2008. 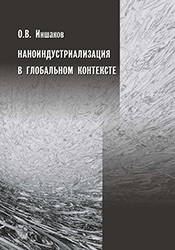 – 356 p.
The methodological, theoretical and methodical aspects of the regional long-term development strategy formation is revealed in the book. The algorithm of the strategy development is proposed, the external and internal conditions, opportunities and threats are analyzed. The scenario approach in the assessment and choice of the regional development prospects is implemented on a concrete example. The priorities and imperatives, prospects and reference points of the Volgograd region strategic development till 2025 are determined. 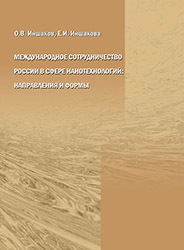 The research is based on the wide empirical foundation and comparative studies within the South macroregion and Russia. 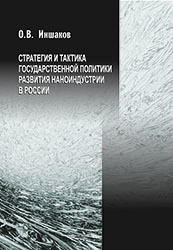 The book can be interesting for scientists, company managers, the representatives of the Russian Federation government agencies, subjects’ administration, federal districts and municipalities. O.V. Inshakov. 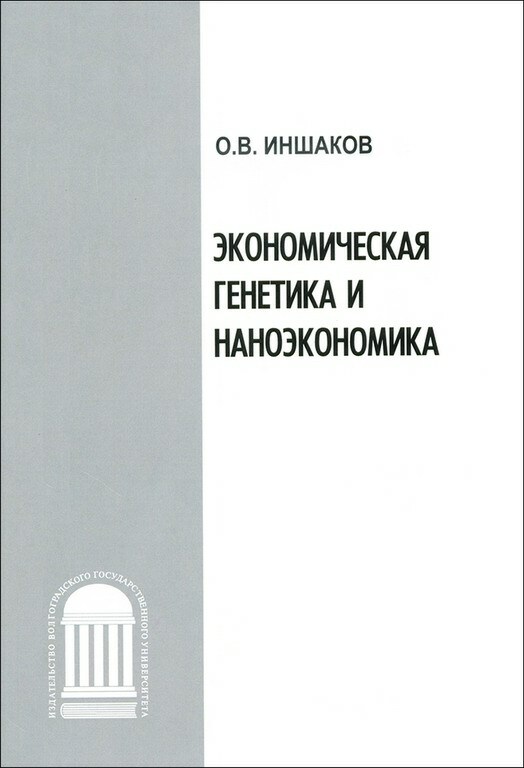 Economic genetics and nanoeconomics / O.V. 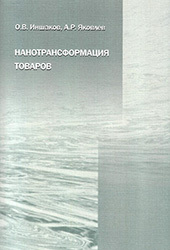 Inshakov – Volgograd: VolSU Publishing, 2007. – 94 p. (5,5 printed pages).